The Department of Industry, Innovation and Science recently announced 10 successful applicants for Round One funding under the Small and Medium Enterprises (SME) Export Hubs Initiative. The Export Hubs are business networks designed to help small and medium businesses harness opportunities in international markets, particularly in countries where the Federal Government has signed free trade agreements, such as China, Japan, Korea and Indonesia. 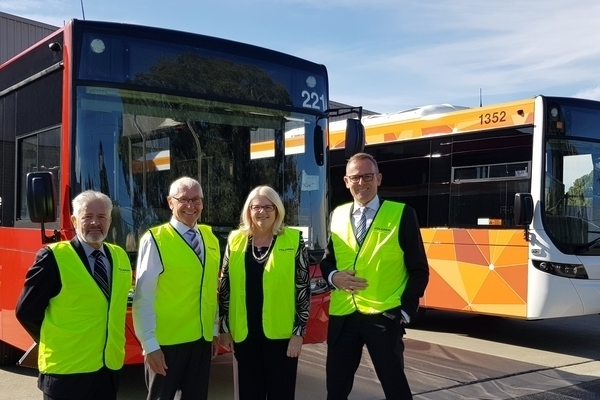 Minister for Industry, Science and Technology, the Hon Karen Andrews MP, said the funding will boost the economy by giving more businesses access to new and bigger markets, increasing sales and creating more Australian jobs. “The funding…is integral to helping Australian businesses grow and will ultimately increase local and regional job opportunities,” said Minister Andrews. “With 1.2 million jobs created since the Coalition was first elected in 2013, these hubs will help our goal of creating 1.25 million more jobs over the next five years,” said Minister Andrews. The Export Hubs operate in six key industry sectors of competitive strength and strategic priority identified under the Coalition Government’s Industry Growth Centres initiative: Advanced Manufacturing; Cyber Security; Food and Agribusiness; Medical Technologies and Pharmaceuticals; Mining Equipment, Technology and Services; and Oil, Gas and Energy Resources. These sectors were identified as having strong prospects for creating future economic and jobs growth. This Export Hub will bring together business, research and government organisations to support food and beverages manufacturers and producers in South Australia. The Hub will offer specialist advice, support, and tailored coaching. The Berry Export Hub will target fruit growers in South East Queensland and Northern New South Wales, particularly berry growers. The Hub is expected to facilitate increased berry production, export revenues, and employment. This Hub will develop and implement a targeted export strategy for the Mining Equipment, Technology and Services sector in the local region, and provide training, market intelligence, and financial support to local SMEs. The Hub will focus on three industry sectors: Mining Equipment, Technology and Services, food, and advanced manufacturing. The Hub will provide an Export Hub Manager for each industry sector to develop partnerships and benefits for SMEs, as well as services and training to help encourage and maximise entry into export markets. This Export Hub will improve the global reputation of food, agribusiness and oil and gas SMEs in Southern Queensland. The Hub will encourage SMEs to develop a collaborative export culture within the region to promote its premium products and services, and provide professional support services and networking opportunities. Focused on supporting and developing SMEs in the local Mining Equipment, Technology and Services sector, the Hub will identify commercial opportunities, facilitate increased investment, and help establish a local economic development strategy. Focused on the food industry, this Hub will support Gippsland agrifood SMEs to improve their capabilities, increase exports, and support business and industry growth. The Hub will develop and implement an export strategy that connects Gippsland agrifood sector capabilities with export market demands. This Export Hub will develop export capability for SMEs in the Australian Wagyu industry by implementing Japanese Meat Image carcass grading cameras. The Hub will help SMEs develop skills in the use of these cameras, enabling the Australian Wagyu industry to build on product quality and brand recognition. With a focus on the manufacturing industry, this Export Hub will deliver specialised education, and tailored support services to SMEs engaged in rail and haulage supply chain commercial enterprises, enabling them to develop the knowledge, capability and capacity to successfully export their products and services. For further information on this Export Hub, please read this month’s message from AMGC Managing Director, Jens Goennemann. Focused on the food industry, this Hub will provide a business assessment program and tailored advice to help SMEs understand capacity to export, and develop products and services for businesses considering exporting.